Last chance list- grab these retiring products while you can! The Last Chance list is out, and as is always the case, it’s a bittersweet time! It’s a goodbye to some favourites to make way for new favourites when the new Annual Catalogue is released in June. As is ALSO always the case, these retiring items are available only on a ‘while stocks last’ basis, so if anything that you love and don’t yet own is on there, I would suggest you act quickly. The list looks ENORMOUS! That’s because it includes stamp sets that are transitioning over to the new Cling stamp style. These stamp sets are retiring in clear mount and wood mount format, but will be available as the new and improved Cling stamp style in the new catalogue. In a further clarification, some Bundles are listed as retiring also, but their components will be carrying over to the new catalogue as separately available items, also in the new Cling style. The benefit of grabbing these now is that you will do so at the 10% discount that bundles offer. Going forward, the bundle components will be available at their full price only. If you are unsure of anything regarding the Last Chance List, please don’t hesitate to reach out and ask! I will be happy to try and clarify whatever I can regarding retiring/not retiring/stamp style transition/bundles etc. The important thing is that you seek clarification as soon as possible to avoid missing out altogether! REMINDER! 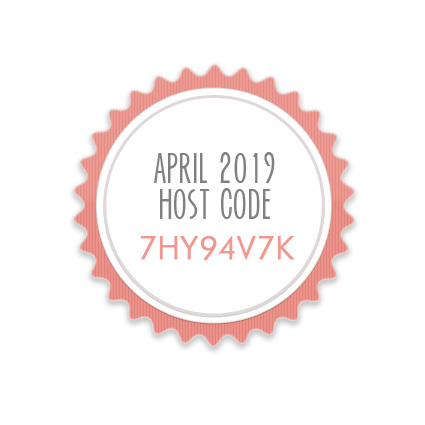 Don’t forget to add my April host code to your order to qualify for your Red Carpet Rewards! Dear Doily and the final Sale-a-bration hurrah! I’m a huge fan of stamping in white ink on Crumb Cake cardstock, particularly with intricate and finely carved images like the ones in the Dear Doily Stamp set. That’s exactly where I started with this card, not knowing where I would end, but knowing that the White/Crumb Cake combo was the look I was going for. As it turns out, I decided that adding anything too fussy would detract from the stamped background. A simply stamped greeting on my current favourite colour (I’m looking at you, Petal Pink!) plus some neutral embellishments (hello, Linen Thread and the FINAL DAY of Butterfly Elements! ), plus a sweet little die cut doily, and I was happy to call it done. Please make sure you don’t miss out on any of your Sale-a-bration or Sale-a-bration co-ordination loves! It’s the final hours and regret is a terrible thing! Perhaps head over to my online store to make sure you have everything you need before the bonuses are finished! Sale-a-bration has entered its final month and the party keeps getting better! New products that co-ordinate with your favourite Sale-a-bration products! Don’t want to fussy cut the uni-cycling frog…? Grab the matching Framelits! 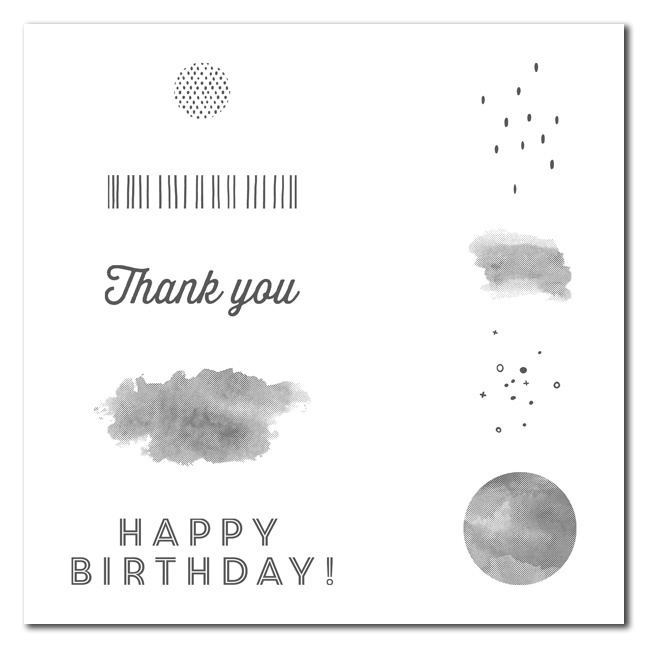 Want to expand on the sentiments included in some of your favourite Sale-a-bration stamp sets…? The More Than Words stamp set can help with that! Have you exhausted your wishlist of Sale-a-bration freebies, but have a regular wishlist that will earn you more? Fear not, there’s now a third release of FREE Sale-a-bration items available to earn with your qualifying order. Check out all the available options, paying close attention to the fact that the Painted Seasons Designer Series Paper - previously available only as part of a Level 2 bundle with a $180 order - is now available as a Level 1 free item with your $90 order. Sale-a-bration - it gets better! Second release products available now! If Sale-a-bration wasn’t already amazing enough, the newly available second round of freebies has landed, and it’s pretty amazing! There’s a new stamp set, a new embossing folder and a bundle that features a coordinating stamp set and pack of Designer Series Paper that is SO beautiful. 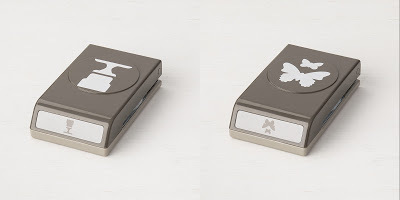 With the popularity of this year’s FREE Sale-a-bration items (we’ve been advised that several products are exceeding forecasting and unlikely to last the distance until the end of the promotion, the latest of these being the Butterfly Elements), it’s a good idea to place your qualifying order asap so you don’t miss out on your fave freebies! We had a houseful of people over at our house on Saturday. Not that it takes much to fill our house, little old lady that she is. It was Australia Day, and as we have done in years past, we teamed up with our across the road neighbours and set up a massive slip’n’slide on the 50 metre long hill in ‘our’ park. Once the sliding was done and the BBQ sausages were finished, as is often the way, my sister-in-law and her family remained for an impromptu takeaway pizza dinner and while the cousins gathered for a movie, she and I snuck off to my craft room. We added some silver splatters by mixing Multipurpose Liquid Glue with water, picking up the mixture with an Aquapainter and flicking it at the paper before sprinkling Silver Embossing Powder and melting it with a Heat Tool. It’s one of my favourite ways to add a little something to a card without overpowering anything else. Here’s a card I made last year using the same technique in gold. A Vellum Stitched Rectangle provided a base for the Butterfly Element, and with a bit more silver in the form of Mini Sequin Trim and a swoosh of Highland Heather ribbon from the Organdy Ribbon Combo Pack, we were happy with the result of our combined effort! The Butterfly Elements and Organdy Ribbon Combo Pack are both items that you can earn for FREE with a $90 order (or earn them both when you spend $180!) Don’t forget that the ribbons are super popular and running low on inventory, so make sure to claim yours before they run out! I had fun playing in your craft room! Simple and sweet and a bit of fun with technique. I really want to dedicate more time to getting my craft on! Those are certainly words that I can relate to, you…?! The Organdy Ribbon Combo Pack (item 149623) may be one of our most popular Sale-A-Bration items ever. It’s been so popular, in fact, that it has exceeded product forecasting. Stampin’ Up! have shipments coming in, but because this item has been in such high demand, it will most likely not last until the end of Sale-A-Bration. These two characters from the Occasions Catalogue have also been running hot and have exceeded product forecasting in much the same way. Inventory of these two punches is expected to be depleted in the next couple of weeks, after which time they will be switched to ‘unorderable’ in the ordering system until another shipment arrives in mid-March. While I can confirm that these two fantastic punches are set to carry over into the next Annual Catalogue due out in June, that’s not going to help with all of your delightful butterfly and cake projects in February…! Just in time to take advantage of all of the amazing Sale-a-bration benefits, the 2019 Occasions Catalogue has arrived with a huge range of new and exciting products. If you have shopped with me in the past year, a real life copy of the catalogue (along with the Sale-a-bration catalogue) will be on the way to you shortly. In the meantime, you can download and browse a digital copy by clicking on the image below. Love the project ideas in the catalogue? Check out the Occasions Catalogue Sample Supply List to see which products were used for each sample and recreate your favourites at home! Check out this array of videos produced by Stampin’ Up! to guide you through some of the amazing new products! 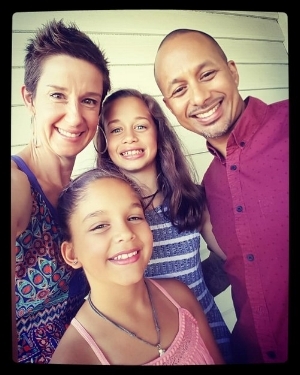 Sale-a-bration 2019 - so many ways to celebrate! Sale-a-bration 2019 has arrived and it brings with a whole bunch of reasons for celebration. You can take part in several ways, each as rewarding (or more so) than the last! Check out the Sale-a-bration catalogue below, then scroll down for the different ways to get involved! Love the catalogue projects? Download the sample supply list so you can recreate your favourites! Get even more for free! When you host a qualifying party during Sale-A-Bration, you get $40 more in free products! 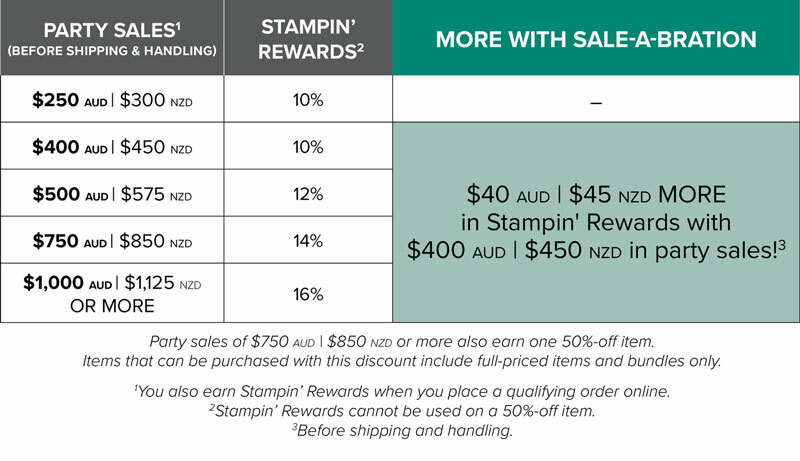 You can even put that money toward the cost of your own Starter Kit to become a Stampin’ Up!® demonstrator. 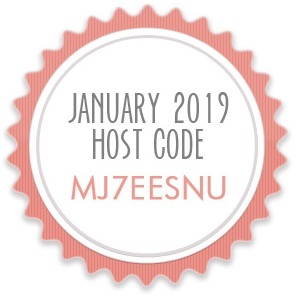 Starting 3 January, new recruits who join Stampin’ Up! as an independent Stampin’ Up! demonstrator during Sale-A-Bration can choose from two offers. These offers are IN ADDITION to the regular Starter Kit offering. There’s so much to love about Sale-a-bration, from new and exclusive products, bonus rewards and an AMAZING signing up offer like we’ve never seen before! It all kicks off TODAY, so get amongst it in whichever way takes your fancy! On October 23rd (ie. 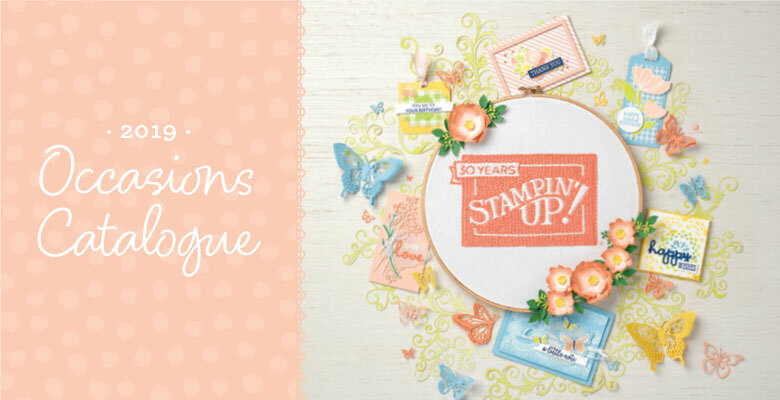 tomorrow), for 24 hours only, Stampin' Up! is taking 15% off a select range of stamp sets. The beauty of being in the west at times like these is that we don't have to stay up until ridiculous o'clock to start taking advantage of sales the start at midnight on the east coast! And an extra hooray for daylight savings! Part of the fun for me at this stage is working off my relatively tiny phone screen to post this. Our internet has chosen a decidedly inconvenient time to crash and burn and the wait time to speak to someone at our ISP is an hour. I'm hoping that the formatting of this post is way better at your end than it currently looks at mine….! Check out the list of stamp sets on sale to see if any of your wishlist coincides with the sale list, then head to my online store in a couple of hours to snaffle them while you can! Colour Your Season - Exclusive products for August! August is shaping up to be quite the exciting month, with Bonus Days riding again, plus this brand new, exclusive to August bundle of coordinating loveliness! Get ready to colour YOUR season (or all four of them!) with these beautiful new products! Watercolor Pencils in 10 new colours. Note: These Watercolor Pencils may be available in a future publication. There really is something for every season in this bundle, as evidence by the stunning samples from Stampin' Up! below. Ready for more? Check out Stampin' Up! 's Colour Your Season Pinterest board! Love it already...? Be quick, these exclusive August products are only available until the end of the month while stocks last! Shop the Colour Your Season Promotion now! Remember - every $90 in your order total qualifies you for a $9 Bonus Days coupon to spend next month, so be sure to have your nine times tables at hand to make sure that your order total is going to give you the best bang for your September buck! If you've been around for a little while, you might recall the fun of Bonus Days. They are on again, and taking part is as simple as spending in August to save in September. Earn a $9 bonus coupon for every $90 in your order total during August, then when September rolls around (bringing with it the shiny new Holiday Catalogue...!) you can apply your discount codes to your order and save! If you have further questions, make sure to get in touch, or if you're ready to start earning your coupons, away you go! Until the end of July (that is, for another 2.2 days), choose three packs of Designer Series Paper and get one pack FREE! With all new designs (as well as a favourite carryover pack!) in the recently released 2018-19 Annual Catalogue, there are loads of delightful options. The one at the top left was the first design, and I think it's still my favourite out of all of them. Here's a bit of a closer look. How perfectly do all of these patterns lend themselves to the 'same but different' design? You might notice the addition of coloured pearls and rhinestones and wonder how you missed these in the catalogue. The good news is that you didn't, they are the Pearl Basic Jewels and Rhinestone Basic Jewels coloured with Stampin' Blends. With this offer only valid until the end of July, be quick with your paper selections so you don't miss out! SHOP THE PAPER SALE NOW!